Every now and then a vehicle comes along and redefines what a great ride can and should be and the 2017 Toyota Avalon has done just that. So if you are looking for a vehicle that will not only meet your needs but exceed your expectations, do yourself a favour and take a good long look at the new Avalon. You will be arriving in style everywhere you go in your 2017 Avalon, because everything from its sleek lines and athletic stance to its bold grille have been designed to make an impact. Its state-of-the-art headlamps emanate class and sophistication; the 18” Aluminum Alloy Wheels boost style as well as performance and with seven great colours to choose from you are sure to find an Avalon that suits your personality. When you step inside you certainly won’t be disappointed either, as you’ll find opulent fabrics and quality touches everywhere you look, including leather seating, ambient lighting and a woodgrain trim. This savvy vehicle has everything a modern driver could possibly want or need. The Smart Key System with Push Button start makes hitting the road fast and easy, satellite radio ensures that you always have your favourite tunes at hand, and the display audio system includes a 6.95” touchscreen that is as user-friendly as it is impressive. Bluetooth audio is fully enabled; the navigation system offers advanced voice recognition, while the text and email-to-speech capabilities make it easy to stay fully connected when you are on the go. There are even Steering Wheel Mounted Audio Controls, a Dual Zone Climate Control system and the Avalon Limited comes with a Qi-compatible Wireless Smartphone Charging System. The 2017 Toyota Avalon comes backed by a 3.5L 24-Valve V6 engine paired with a 6-speed automatic transmission and together they crank out 268 horsepower and 248 lb/ft. of torque. You can customise your ride’s performance by choosing between three distinct driving modes – Eco, Sport and Normal – and you’ll save a small fortune at the pump as well thanks to a fuel economy rating of just 9.7L/100km (combined). 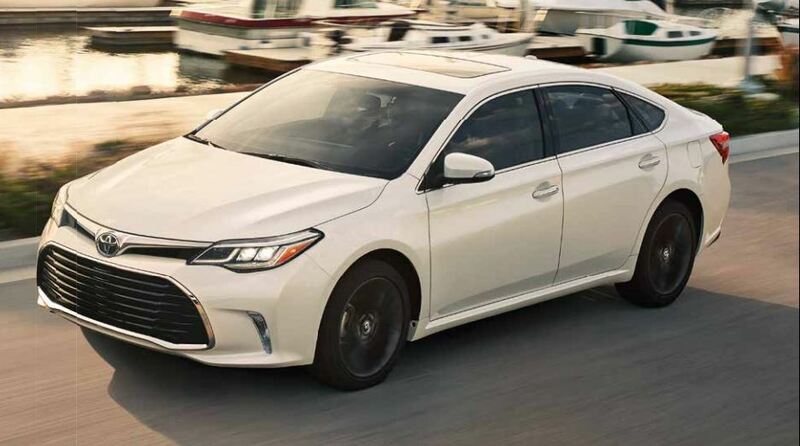 You can count on every ride been a smooth and stable one as well, as the Avalon features a tuned suspension system that boasts Macpherson Gas Struts front and rear. You can rest easy in a 2017 Avalon as it includes a wealth of safety features. A suite of ten airbags are positioned throughout the cabin of the vehicle and the Toyota Star Safety System is in full effect, including features such as Traction Control, Brake Assist and Smart Stop Technology. Better yet, the Toyota Safety Sense P system takes your safety and protection to a whole new level with elements including Automatic High Beams, Lane Departure Alert, Pedestrian Detection and Dynamic Radar Cruise Control. 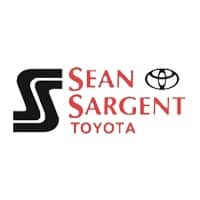 There is no better way to start 2017 in style than by investing in a quality vehicle and you won’t find a better range of options than here at Sean Sargent Toyota. Just give us a call, check out our wide selection online or drop by and see us in person here at 10625 117 Ave Grande Prairie.